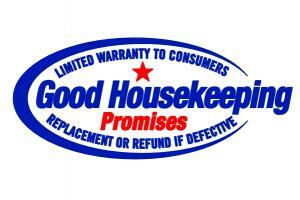 The SteamFast® SF-275 has earned the Good Housekeeping Seal. Wheels and castors provide easy movement. 50 oz. water capacity to provide you with maximum steaming. 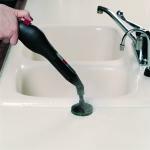 Steam ready light and lighted on/off switch offer ease of use. 10 convenient accessories and a utility storage compartment for compact storage. Hose is 7'long and 1/2" in diameter. The steamer I ordered is an excellent product. I will be placing an order for another one. Excellent selection with detailed information and quick product delivery made this a very pleasant experience. Plus, the steamer I bought was $30 less expensive for the same unit sold on another website! I will visit this site again for my needs. Machine arrived in original packaging, all attachments received. Works fine! Customer serviceperson courteous and helpful. AllBrands will be future source as needed. 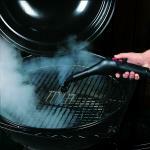 I love the steamer it is easy to use, and all of my friends now want one. I was very pleased with the order and will probably order again from your company if needed. I was very pleased with the ease in ordering and the delivery of Item. Thank you! I am completely satisfied and will use your company again if the need arises. 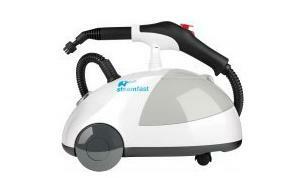 The SteamFast SF275 was an excellent purchase, I am very satisfied with this product.